We're crying because we're happy. 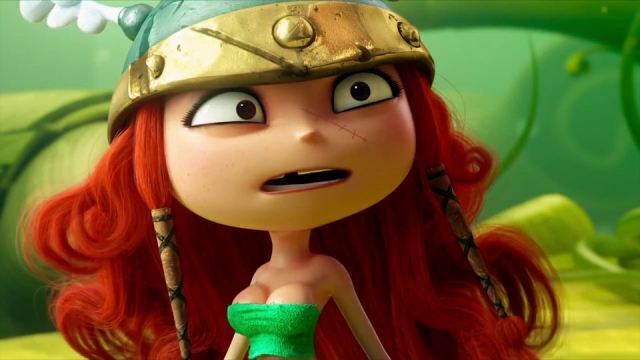 It's been a dramatic ride for Rayman Legends. What with the exclusivity promises, the massive delay, the public protest, and we're pretty sure one of our staff started crying at one point. But everyone can relax and be happy now. Rayman Legends is just a few days from release, and it's got a happy little launch trailer to prove it! Rayman Legends takes the gorgeously drawn platforming action from Rayman Origins and fleshes things out with new characters, new maps, new challenges, and plenty of other creative diversions. It's one of those games that pushes absurd situations and laughably fun artwork on top of gameplay that can be as simple or as challenging as you like. The co-op mode is especially hectic, as it allows a handful of players join in and work together to collect every lum and find every secret while smacking each other around. Cooperatively. The launch trailer serves as a handy reminder that there are still some pre-purchase bonuses available. Buy the PC version and you'll get a free copy of Rayman Origins. Buy the console versions and you'll get a few unlockable costumes, the niftiest of which is probably the Mario and Luigi outfits for Wii U.
Rayman Legends launches on PC, Wii U, Xbox 360, PS3 and PlayStation Vita on September 3rd. All versions support at least four player local co-op, with the exception of Vita which only supports two. Bummer. Demos are available on each system's respective marketplace. Page created in 0.3318 seconds.